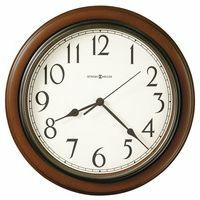 Bulova Clocks, including wall clocks and mantel clocks by Bulova. With antique clocks, especially in Western Europe, and many in the USA, there were tens of thousands of clockmakers, some of whom signed their clocks on the back of the movement only, sometimes also, or even only, on the dial. Many great antique clocks out there have no signature or obviously visible sign of who made them. Sometimes, clocks were made for jewelry stores for retail sale, and it was the name of the jewelry store that was featured on the clock's face, perhaps but not necessarily with any maker mark on the back of the movement. There are thousands of makers of clocks whose work can be identified and researched. Being able to spot a fake reproduction, or the merging of parts from newer and older clocks, is critical for the serious clock collector to ensure the integrity and identity of their clock collections. While a serious antiques clock collector may not be interested in new clocks, some of the makers and models today, especially by Kieninger Clocks and Hermle Clocks, rival some of the most special antique clocks, and there is much less involved in maintenance, and more features than may have ever been available on many or in some cases all antique clocks, including an automatic nighttime shutoff option. 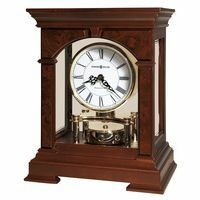 Many of the new clocks antique clock collectors and/or people interested in the highest end clocks can be found in our Automata and Specialty Clocks section of our website. Most all of the antique clocks we sell are sold to already existing customers, architects, interior decorators, or to individuals locally. Generally these antique clocks are not listed on our website. 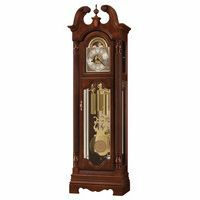 When deciding whether to purchase a new vs. antique grandfather clock, we put together a blog post here on New vs. Antique Clock Choices focusing on the pros and cons of purchasing new vs. antique clocks.